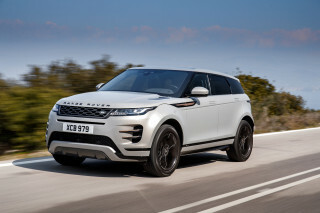 In the past, all-wheel drive hasn't commanded the resale value it should--but as more luxury brands have added the feature, it's become almost mandatory in SUVs. The xDrive28i is our choice in the X1 lineup--with the packages that add a rearview camera and Bluetooth. 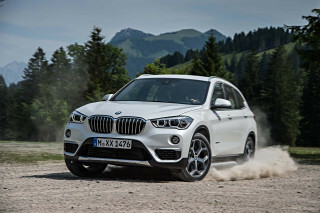 In our first drive, the 2013 BMW X1 seems a little more enthusiastic than it is versatile. Somewhere in the grey area between hot hatchbacks and curt crossovers lies the new 2013 BMW X1. 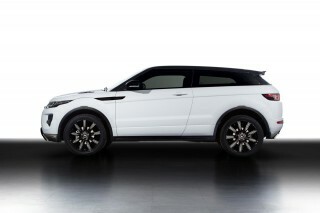 It's tall, with all-wheel drive and a moderate amount of ground clearance to appeal to more rugged instincts. But with its shorter wheelbase and a small back seat better for kids than adults, it's less like BMW's own X3, more like the previous-generation 3-Series wagon than its high-riding profile might let on. 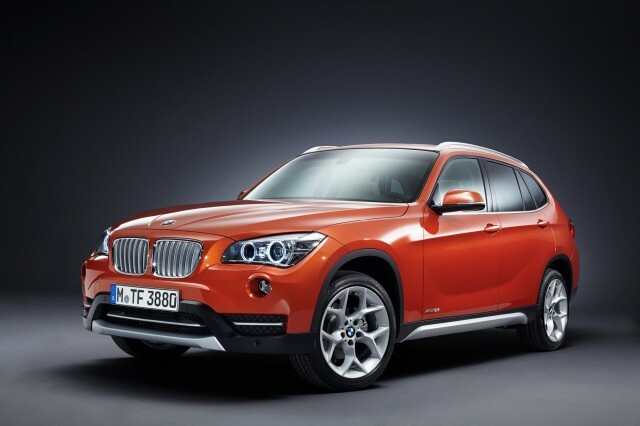 The X1 has BMW's "Sport-Activity Vehicle" profile down pat. There's little here to suggest a pavement-free adventure could happen at any moment. The X1's softly curved sheetmetal reads more like a sport shoe, except where the tall glass areas and the high nose give away the jacked-up stance. 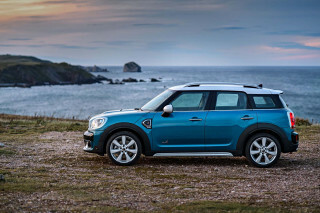 Or, where the lipped wheel arches offer the TelePrompTer cue: "Psssst...SUV!" Any 3-Series driver will take command at the X1's wheel in an instant: the controls are just where BMW drivers expect them. To the rest of us, the anatomically themed dash looks good enough, but the smattering of dissimilar controls--all black on a black background--are a game of concentration, at first. We haven't yet driven the potent 300-horsepower, turbocharged 3.0-liter in-line six that's found in the X1 xDrive35i. It's configured only with all-wheel drive and a six-speed automatic, and scoots to 60 mph in about 5.3 seconds and to 21 mpg, EPA combined, BMW says. Our first drive's been exclusively in an X1 xDrive28i, with BMW's natty 2.0-liter turbo four, direct-injected, with 240 hp and teamed with a paddle-shifted eight-speed automatic and, in this case, variable-torque-split all-wheel drive. There's an sDrive28i rear-drive model we haven't driven, with electric power steering; our xDrive model offered more natural-feeling hydraulic steering, and complemented the X1's typically excellent BMW dynamics. 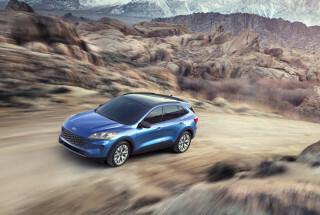 With more engine exhaust resonance in the cabin than we'd like, and a little more body roll than you'd find than in models with optional sport packages, the X1 steered truer than many other crossovers, and its short wheelbase still handled terrible pavement assuredly. We wouldn't describe many luxury crossovers as eager, but the X1 does seem to earn it. Front-seat accommodations are fine for even tall adults; the roofline bumps up to suit almost everyone. The X1 doesn't span quite wide enough for a vast console, or long enough either, so while there's enough shoulder room and a storage bin, only one front-seat cupholder fits on the console. A second one hangs side-saddle. The abbreviated space in the back seat should command attention from anyone replacing a bigger ute: it's not quite enough for four adults to sit comfortably, though two adults and two kids will be an easy fit. The rear seats do a better job at getting out of the way for cargo, reclining and folding nearly flat. The X1 hasn't been crash-tested yet--but while it gets the mandatory safety gear, it doesn't have standard Bluetooth or a rearview camera, features you'll find in most sub-$20,000 sedans. It does offer a standard USB port; power features; automatic climate control; and HD radio. The options list shows a panoramic glass roof; mobile-app connectivity; satellite radio; a cold-weather package; and Harmon Kardon audio. This Car Is A Really Amazing Ride With good Performance And Excellent Handling, But It need To Be Well Maintained. The BMW X1 I a cool More hatchback Rather SUV ride based on your likings.The Car Boasts excellent BMW features like sporty-Smooth suspension, precise steering enhancing the handling, and a choice of... 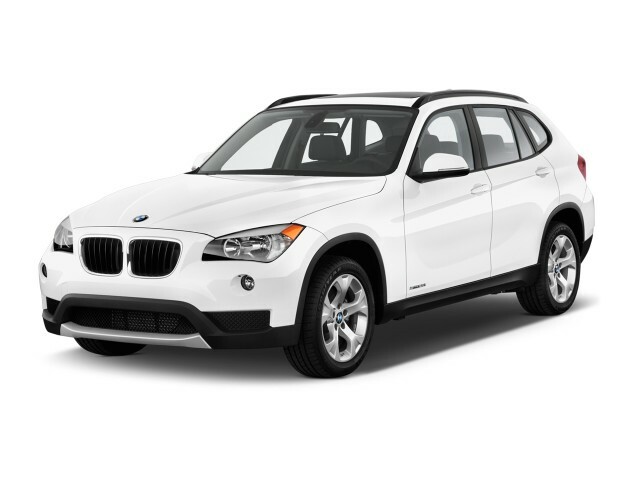 The BMW X1 I a cool More hatchback Rather SUV ride based on your likings.The Car Boasts excellent BMW features like sporty-Smooth suspension, precise steering enhancing the handling, and a choice of turbocharged engines at your preference. All though the Fuel efficiency is a bit leggy as The stop start system is unrefined like The modern rides which efficiently turns off the engine as its stationery and get the engine back on full energy with a single press of the acceleration pedal. Energy efficient tires Long Slowdown may add Up to it. The car has got the standard eight-speed automatic With a Manual Mode which maybe advantageous. The X1 is more wagon than SUV. It is a great personal vehicle. The X1 steering is like the previous generation 3 series providing good feedback and effort. Great looking vehicle inside & out with the M Option package in black/black. Superior handling but gas mileage suffers somewhat with the 3.5 twin turbo engine. Options ramp up the price quickly.This vehicle... Great looking vehicle inside & out with the M Option package in black/black. 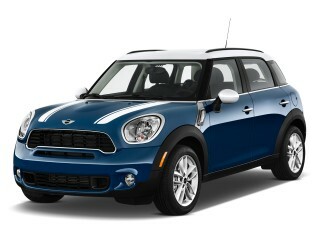 Superior handling but gas mileage suffers somewhat with the 3.5 twin turbo engine. 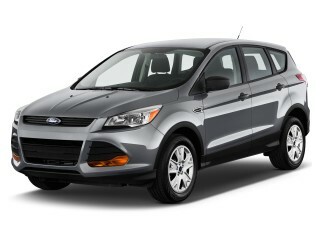 Options ramp up the price quickly.This vehicle provides you with the confidence of safety in all driving conditions. Would buy another one.